Four farmers were killed in an attack by Boko Haram insurgents in Borno state, witnesses said on Wednesday. The attack came a day after the jihadists killed three people in a raid in neighbouring Adamawa state. Fighters in trucks on Tuesday opened fire on the farmers as they worked in their fields outside Lassa village on the fringes of the group’s Sambisa forest enclave. “We lost four of our kinsmen to Boko Haram who came around 2:00 pm (1300 GMT) yesterday and shot them dead in their farm outside the village,” said Adamu Galadima, a militia leader assisting the military to fight the Islamists. “They (Boko Haram) tried to enter the village but our vigilantes mobilised and chased them away,” he said. Resident Danjuma Ijaduwa who gave a similar account, told AFP the attack was a reprisal after the jihadis incurred heavy losses the previous day. On Tuesday, vigilantes in Lassa laid an ambush on Boko Haram fighters as they fled a military pursuit. The insurgents were retreating to Sambisa forest after an attack on Michika town in Adamawa state where they killed three and robbed a bank. Residents said the jihadists lost men and equipment in the attack by vigilantes and troops. The Lassa area which lies near Sambisa forest has been repeatedly attacked. 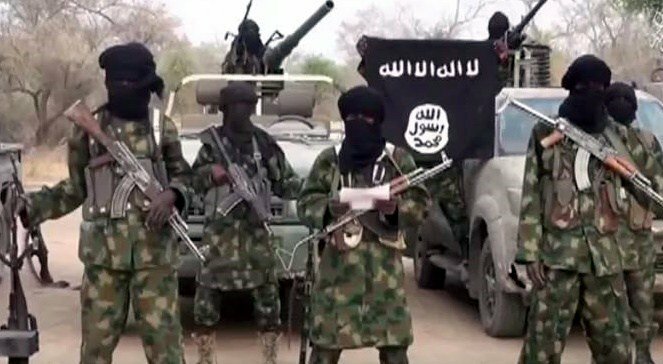 Boko Haram militants have repeatedly targeted farmers, loggers and herders, accusing them of passing information to the military and the pro-government militia fighting them. Boko Haram’s decade-long uprising to establish a hardline Islamic state in remote northeast Nigeria has killed more than 27,000 people and displaced 1.8 million. The conflict has spilled into neighbouring Niger, Chad and Cameroon, sparking a humanitarian crisis in the region.-AFP.